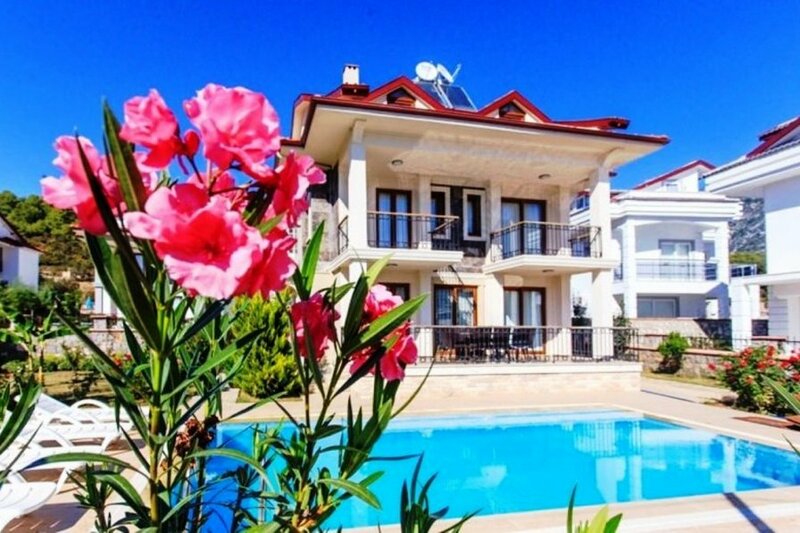 villa is built only 4 years ago and used only for rental purpose so it is absolutly in a great condition with built quality and furniture as well. opal villas only 6 minutes drive from world famous beautiful oludeniz (Blue Lagoon Beach) , 3 minutes drive from lively night life center of Hisaronu and 5 minutes drive beautiful Harbour town of Fethiye, are is so famous with crystal colors of numerous beach also many diffrent activities such as water sports, canyon trekking, horse riding, quad bike safaris, boat trips, jeeps safaris etc. Every town and city in Turkey has a district known as the old part, and in Fethiye, this is Paspatur. Far from being a fast-paced hive of activity, think of it as a nostalgic stroll of pleasure into days gone by. Small shops, quaint bars and reasonably priced restaurants line both sides of cobbled streets, making up a labyrinth of many opportunities to shop for souvenirs. Naturally being a coastal destination, fish and seafood are crucial ingredients of the local cuisine. However Fethiye fish market takes the concept to another level. Situated within four stone walls, quaint and traditional restaurants surround an open-air courtyard of stalls selling freshly caught fish and seafood.